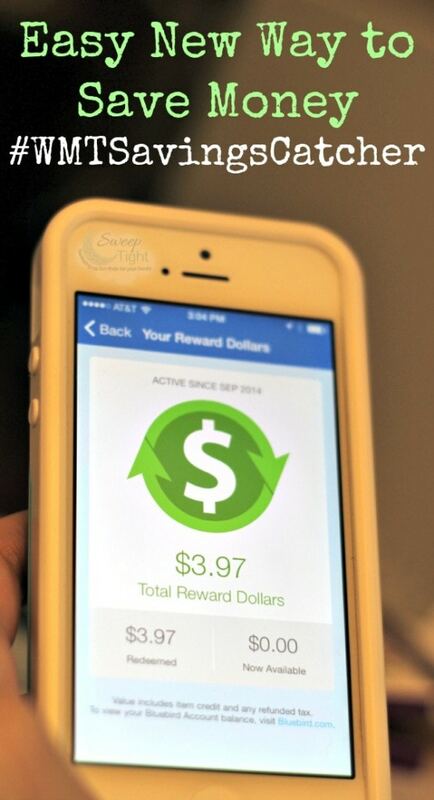 I shopped savvy using Walmart Saving Catcher as part of a sponsored post for Crowdtap #WMTSavingsCatcher. I have tried to be a couponer over and over again, but it makes me nutty. I cut coupons, follow suggested match-ups, and then never go to each suggested store. If I do, my head just spins, and I don’t end up scoring the deals anyway. It’s just not for me. Thankfully, the Walmart Savings Catcher is a shortcut to help me save both my money and my sanity. The Walmart Savings Catcher takes your purchases from Walmart and compares them to local stores’ advertised prices. If the price is advertised lower at any of the stores, Walmart will issue you the difference in the form of a Walmart eGift Card. You can still use coupons to add to your savings. This just eliminates having to go to several stores to get the best savings. During my most recent Walmart shopping trip, I had the chance to test the Walmart Savings Catcher out. I downloaded the app in seconds. All you do is scan your receipt with the app. There’s also an option to insert your receipt number online if you want to skip the app. Then, you just sit back and wait for Walmart to scour local stores to see if anyone can beat their price. I was so super excited to see that they found some lower prices for me! I was notified that Walmart found $3.97 in lower priced differences from my trip. That’s a lot considering my whole trip was about $50. Plus, when you are clipping coupons to save $.25, almost $4 is pretty sweet. I had the option to redeem this amount as an eGift card right away, or save it up. Of course, I chose the gift card out of excitement. It was emailed to me right away, or I can just show the cashier my phone to apply the savings. This feature allows me to still save while not stressing out about going to several stores to do so. Honestly, I don’t have the time, patience, or room for an enormous stockpile anyway. I just want to save some money whenever possible. I still cut coupons, and Walmart uses the full amount while comparing. For example: If I purchase something for $3.50 and use a $.50 off coupon, and they find a store offering the product for $3.25, I will still get credit. They will use the $3.50 amount to give me a $.25 credit. 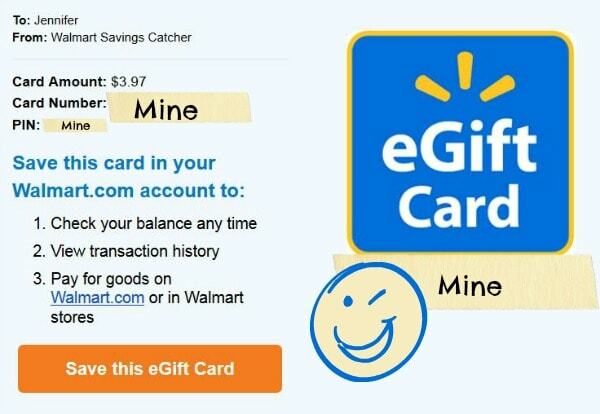 Have you tried the Walmart Savings Catcher yet? Trust me it’s super easy and worth it if you shop at Walmart! I have been hearing a lot of talk about Savings Catcher. Sounds easy enough. Just downloaded the app and going to give it a shot on my next Walmart trip. Anyone who knows me knows I’m ALL about saving money. I love the Savings Catcher. It’s one of my new favorites in my arsenal of frugality! I love the Walmart Savings Catcher. I am saving up all my extra funds for Christmas money! This is such a great app! I’m all about anything that helps me save money, because every little bit counts. I love this idea! Being able to save money this easily is so great! One more thing to love about Walmart! Sounds like such an easy way to save! Walmart is so great. I’m always trying to save money where I can, so I love this! I am always looking for ways to save a little money and trim some of the fat, so thanks for sharing!! Oh man I was just at Walmart today, I so could have used this app. Sounds like a great resource to save money. Got my alert today from Walmart that I saved a little from my last trip! Every bit helps right? Thanks for the reminder! This is a great app! I am so excited. I have downloaded this app and I will have a chance to try it out next week. I hope I save a ton, but I am sure it will be lower than i expect because Walmart has great prices. I love this app. Thank you for sharing. I love the Walmart Savings Catcher! This idea is brilliant! I just started using this and so far, got a nice little chunk of change back! This has become my new favorite app! We’ve gotten almost $10 in just over a month!